Luckily a little dust never hurt any old car. Like this 1967 Dodge Charger, which we passed recently while driving through Wheatfield. 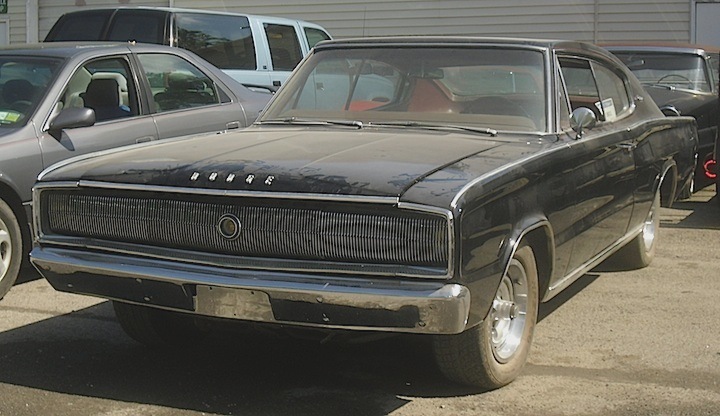 The Charger was to Dodge what American Motors had hoped the Marlin would be to them. Both were rather large full-fastback-roofed cars, but for some reason the Charger seemed to pull it off better. Could be because the roofline of the Marlin was originally designed for the compact Rambler American, but instead got plopped down onto AMC’s mid-sized cars. Whoops! The Charger grew to be one of America’s premier muscle cars, while the Marlin slowly drove off into the sunset. — Jim Corbran, RRofWNY The post RealRides of WNY appeared first on Buffalo Cars.